Berlin, the fascinating town that it is, is also a great place to run. There are some great parks, the historic center, interesting neighborhoods, and it's surrounded by lakes and woods to the east and west. And -- using the extensive U-Bahn system -- you can easily get to any of Berlin's inspiring running routes. Historic Center (Mitte): This run takes you by all the most interesting sights in the old city center, the Brandenburg Gate, the Chancellor's office, the Hollocaust Memorial, the Reichstag building, along the Spree River, the cathedral, Potsdamer Platz, Checkpoint Charlie, etc. Tiergarten: This expansive park in the heart of town provides a vast green stage upon which to hold your run. There are a variety of sights in the park: the president's palace, the victory column, the Soviet memorial, the Bundestag... A great place to get a history lesson while letting off some steam. Prenzlauerberg: This is undoubtedly Berlin's coolest neighborhood. If you'd like to loop through the laid-back streets, past creative cafés and playgrounds, and even run past a remnant of the Berlin Wall, this is the run for you. 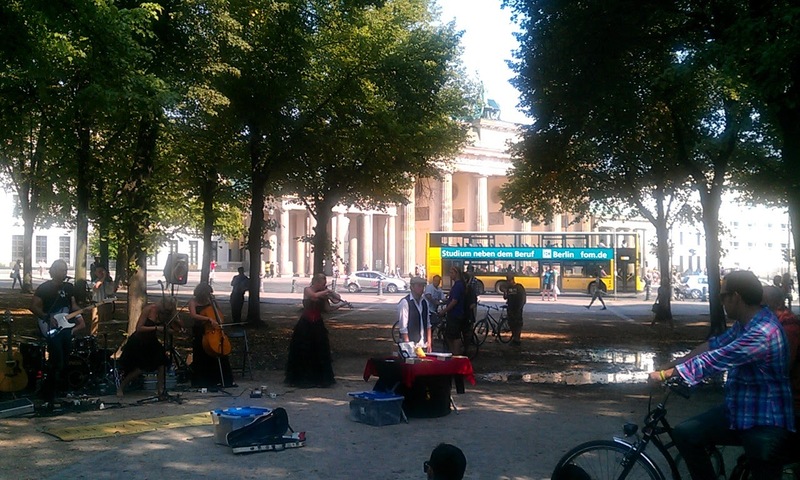 Kurfürstendamm: The Ku'damm was the pulsing heart of old West Berlin, full of cafés, clubs, fashion and food. Here are two routes that trace the Ku'damm and also the old-world charm of nearby Wilmersdorf. Grunewald West: Grunewald, along Berlin's western edge, provides a big forest full of lakes and hills, a great escape from the daily city life. This route loops through the western part of the woods, along Wannsee lake. Grunewald East: And this route loops through the eastern part of the woods, tracing the chain of small lakes that makes this route such fun. Potsdam palaces: Potsdam is a bit outside Berlin, a bit like Windsor is for London: a beautiful town nestled by the great Prussian royal gardens and palaces. A great place to get out and about! Ode to Berlin: And just for fun, here's an essay on what makes this great city so fascinating in the first place.